A car sits parked outside a security gate at the Downeast Correctional Facility in Machiasport, Feb. 17, 2017. Despite strong local and legislative opposition, Gov. Paul LePage early Friday morning took surprise steps to close Downeast Correctional Facility in Machiasport. Downeast staff have been placed on paid administrative leave and received layoff notices effective March 3, according to union representatives. LePage told reporters outside his office Friday that the facility costs too much to run. Buses and Maine State Police teams serving as escorts arrived at the gates of the facility at 4:30 a.m. Friday, according to Jim Mackie, a staff representative for the American Federation of State, County and Municipal Employees, Local 93, the union that represents corrections workers. Until this morning, the prison housed 63 inmates, and operations cost about $5 million per year. LePage has been trying to close the facility, but lawmakers have pushed back. A bill to keep it open is pending in the Legislature. Steele said information about where each prisoner will be transferred can’t be released because of security concerns but that they will be “housed in various correctional facilities” and provided opportunities to contact family members. “They will also be notified that they’ll be prioritized for work release and other opportunities they were already eligible for,” Steele wrote in an email. Mackie said the inmates were being moved to Mountain View Correctional Facility in Charleston. He said his union is exploring whether LePage’s move violates union contract rules, though he said there is language in the contract regarding the closure of facilities. Attorney General Janet Mills, a Democrat, said in a written statement Friday that LePage’s action “flies in the face of the clear intent of the Legislature” in terms of the state budget and state law that establishes the Downeast Correctional Facility. “We will continue to explore all possible actions in response to the numerous complaints this office has received about the closure,” said Mills, who made a similar argument in an April 2017 advisory opinion for lawmakers. The governor’s office said a total of 39 employees will lose their jobs, eight of whom are eligible for retirement. The rest will receive prioritization if there is a layoff recall and may exercise “bumping rights,” which is a contract provision that allows them to continue working by taking the job of a less senior state employee in the same job classification. LePage spokeswoman Julie Rabinowitz noted there were 154 jobs posted on the Maine Job Link website in Washington County as of Thursday afternoon. Sen. Joyce Maker, R-Calais, has led the effort to keep the facility open. She said Friday morning that “it’s a sad day in Washington County and a sad day for the state of Maine that a governor would take this action without even having a conversation. “I just find this absolutely frigging incredible that the governor of the state of Maine wouldn’t even give the political representatives from the county notice that he was doing this,” Mackie said. In 2017, LePage attempted to close the facility as part of his two-year state budget proposal and in May of 2017 announced plans to close the prison the following month. Layoff notices were given to 46 employees, and LePage said he planned to issue conditional commutations to some prisoners to move them out of the jail, including a work re-entry program. Days later, LePage reversed course and said he wanted to fund the prison for at least another nine months. Rabinowitz said Friday the Department of Corrections has not considered pardoning or issuing commutations to any of the affected inmates but in the coming weeks could expand the Supervised Community Confinement Program, which allows prisoners deemed “low risk” to be released under probation supervision until their sentence is complete. Lawmakers, particularly those from Washington County, have strongly opposed closing the facility, which they said would hurt Washington County’s economy and devastate families who rely on the jobs. LD 1704, which is pending, would provide $5.5 million to keep the prison open through June 2019. The bill also calls on the Department of Corrections to analyze the effects of the closure. Earlier this week, the Legislature’s Criminal Justice and Public Safety Committee voted 10-1-1 in favor of the new funding. The next step is consideration by the full Legislature. Downeast Correctional Facility was opened in 1955 by the U.S. Air Force and acquired by the Department of Corrections in 1985. The DOC testified this year to the Legislature that there would be enough beds within the Maine prison system to accommodate the facility’s prisoners. 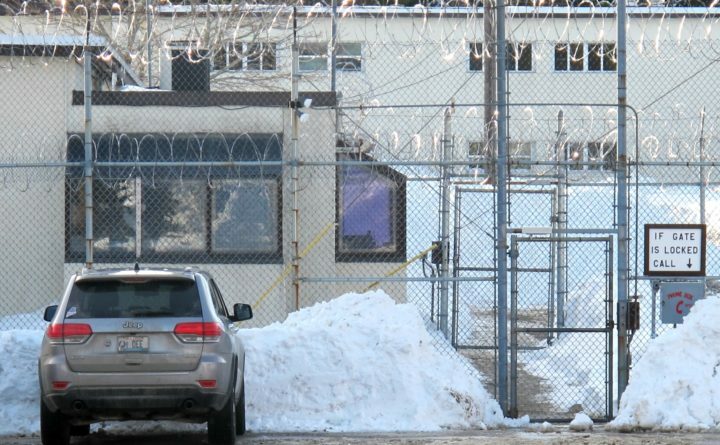 Correction: An earlier report stated that some of the Downeast Correctional Facility layoffs would take effect March 1. A LePage administration representative who had provided that information later noted that the effective date would be March 3.